If you look at global budget trends among chief marketing officers and compare that specifically to budgets for B2B e-commerce marketers, you’ll find some interesting overlaps and insights. For instance, in the 2017-18 Gartner CMO Spend Survey, which includes CMOs at both B2C and B2B enterprises, a full two thirds of respondents said they plan to increase spending in digital advertising. 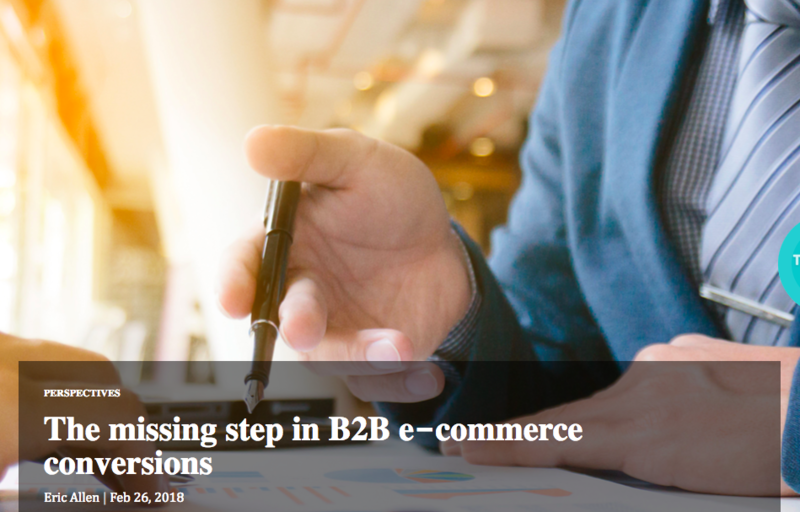 And on the B2B e-commerce side, a client survey by e-commerce platform Magento found that 91% of respondents said they plan on investing in “content and marketing.” Other popular budget categories for B2B e-commerce include personalization, platform upgrades and selection, data cleansing and understanding, and internationalization. 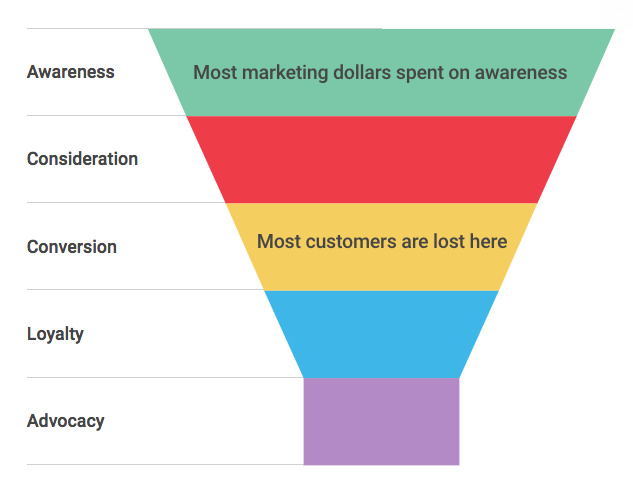 When we match these types of findings up to a typical marketing funnel, though, there’s a key area that’s completely missing from the budget: Conversion optimization. In fact, almost all these investment areas focus on top, or near top of the marketing funnel. A key answer is how B2B e-commerce business units and companies are structured. In most B2B firms, marketing is mainly responsible for lead generation, but it’s the responsibility of the sales team to convert the lead into a paying client. That means marketing spends its budget on things like social media and other digital marketing, but they’re not responsible for top-line revenue. However, neither is the sales team, at least not directly; senior executives are. 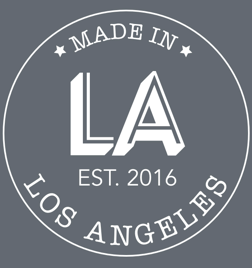 And when it comes to calculating ROI, it’s tracked solely in terms of lead generation, but not conversion. Generating leads without converting them is like constantly refilling a leaky bucket; by fixing the hole the bucket, you usually find the biggest area of opportunity for companies to drive revenue. Even when firms add in an e-commerce component to the sales process, marketing departments often don’t adjust their purview to accommodate for digital sales. They’re not paying enough attention to what happens at the end of the funnel. If the Magento survey respondents are representative of the larger industry (which we think they are), many firms are satisfied with building a platform and filling the top of their sales funnel, without much or any accountability for revenue. In other words: They’re ignoring an essential revenue source. This is why more B2B e-commerce companies need to incorporate conversion optimization into their marketing.